Because of all the sad news regarding Catalonia, we are repeating this reportage from Februar 5th. 2017. 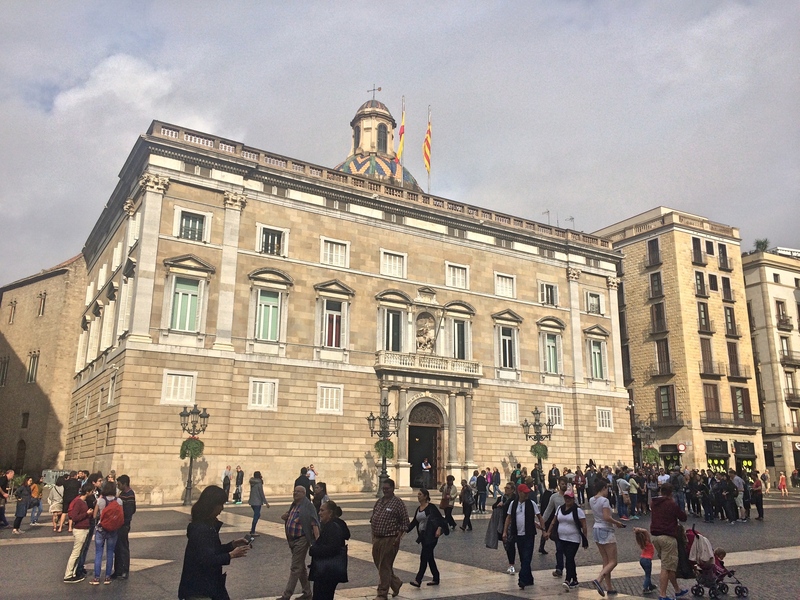 The city hall i ´s situated in front of in front of the Palau de la Generalitat de Catalunya, that everybody could see at the TV these days. Visited by Henning Høholt. Text and photos. BARCELONA/SPAIN: City Hall, also known as the Casa de la Ciutat, stands on one side of the Plaça Sant Jaume, right in the middle of Barcelona’s Gothic Quarter and in front of the Palau de la Generalitat de Catalunya. 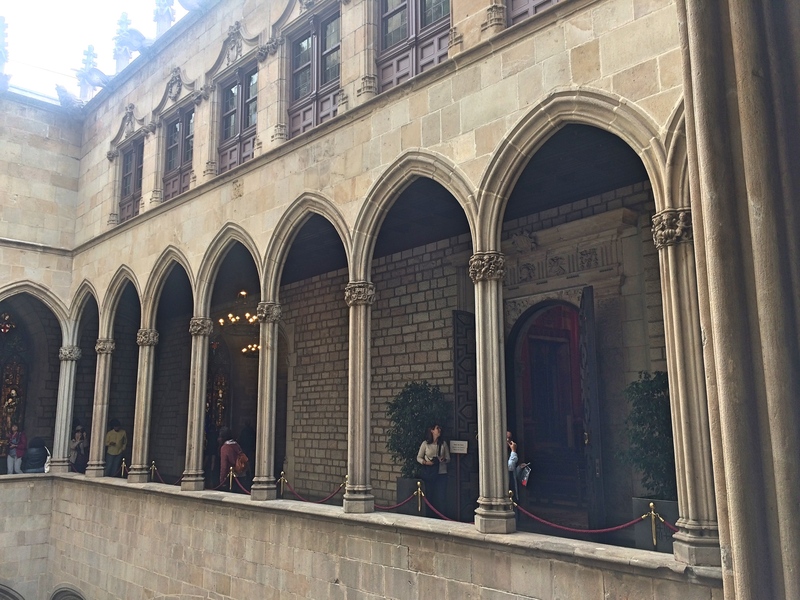 The neoclassical façade conceals Gothic gems such as the historic Great Hall, or Saló de Cent, designed by Pere Llobet and built in the 14th century. There is a tourist office on the ground floor of the building. 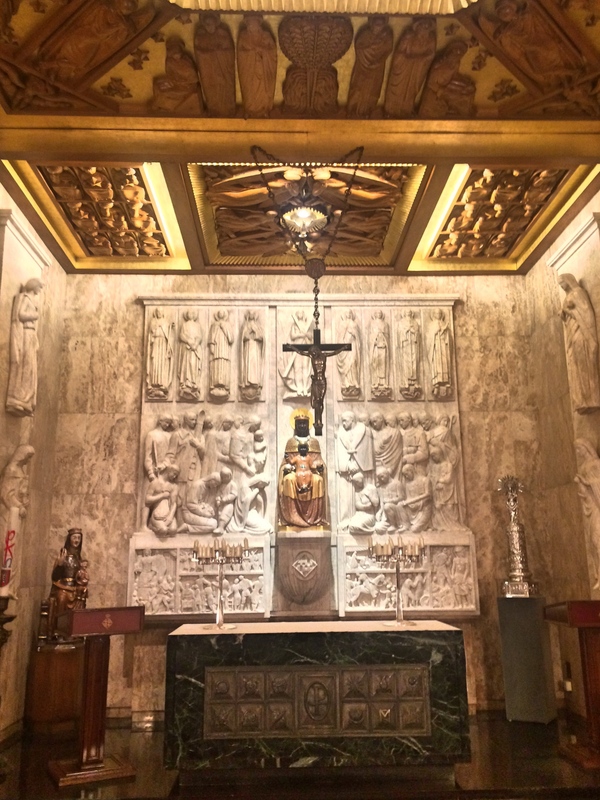 At the top of the Honor staircase in Black Marble, is a large mural by Miguel Viladrich (1930). 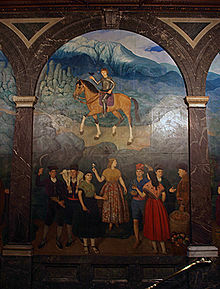 The mural depicts people dressed in the traditional costumes of different areas of Catalonia, detail of the large mural. 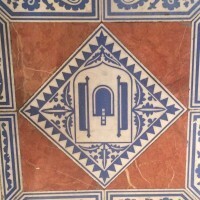 Although the original building dates back to the 14th century, several waves of renovation of Casa de la Ciutat let grow a mixture of different styles. 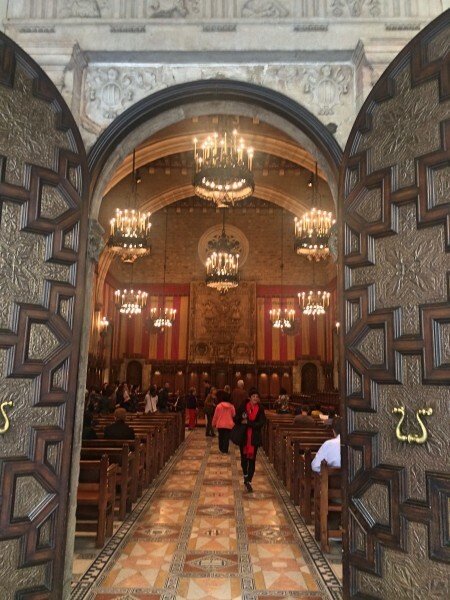 The original building dates from 1372, but profoundly transformed. The main façade in the neoclassical style designed from 1838 to 1847 by Josep MAS. Noble fitted inside, especially the historical Salò is to highlight de cent with its characteristic arches and decorated wooden beams. 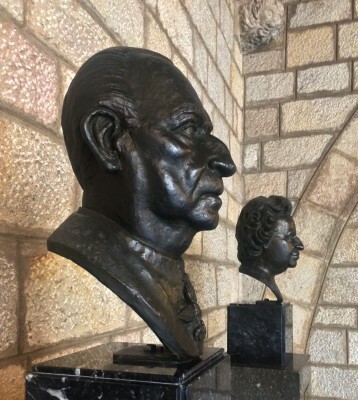 Two Busts of H.R.H Juan de Borbón and Battenberg and H.R.H. 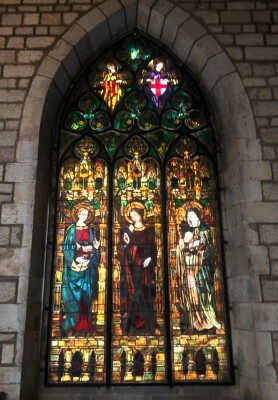 Maria de las Mercedes de Borbón and Orleans by the sculptor Ramon Cuello, commemorate the 50th anniversary of the adoption of the title of Counts of Barcelona (1991). A From the beautiful courtyard with stairs and pointed Gallery belongs to the complex. 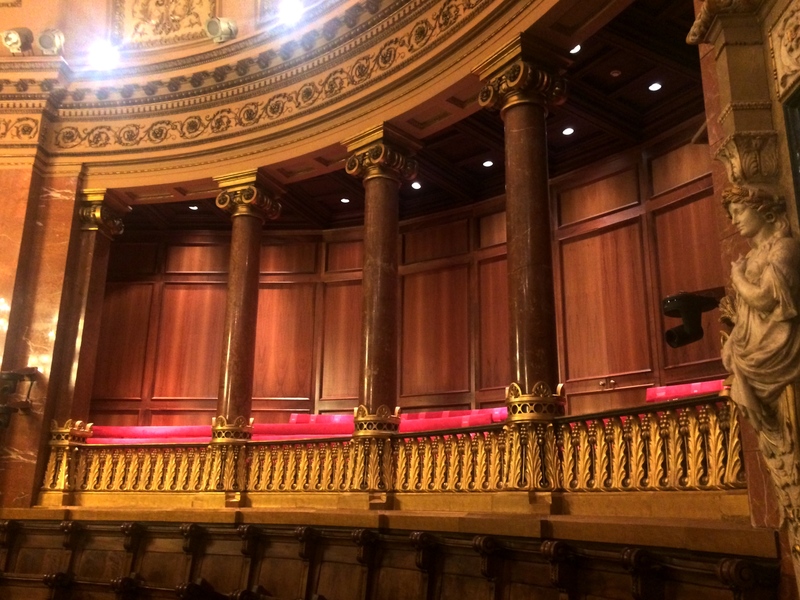 The grand staircase of honor brings guests up to the second floor where the Hall of Cents, the Chronicle Hall and the Queens Room. 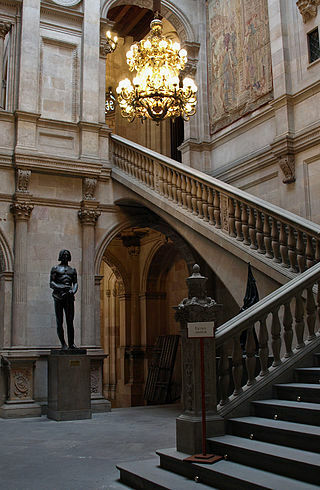 The grand staircase bring guests up to the gallery and the entrance to the Hall of Cents. 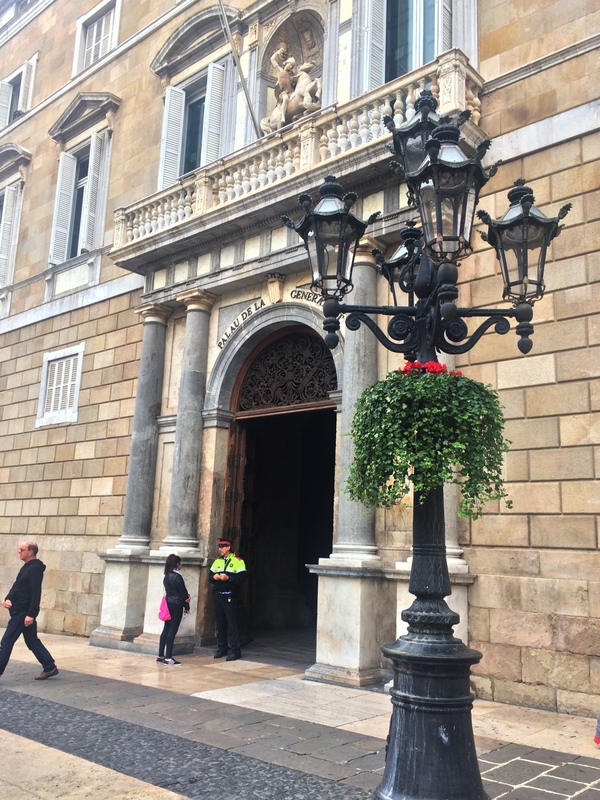 In the ancient Roman city of Barcelona, the Plaça Sant Jaume was the site of the Forum, the meeting place and stage for political debate. 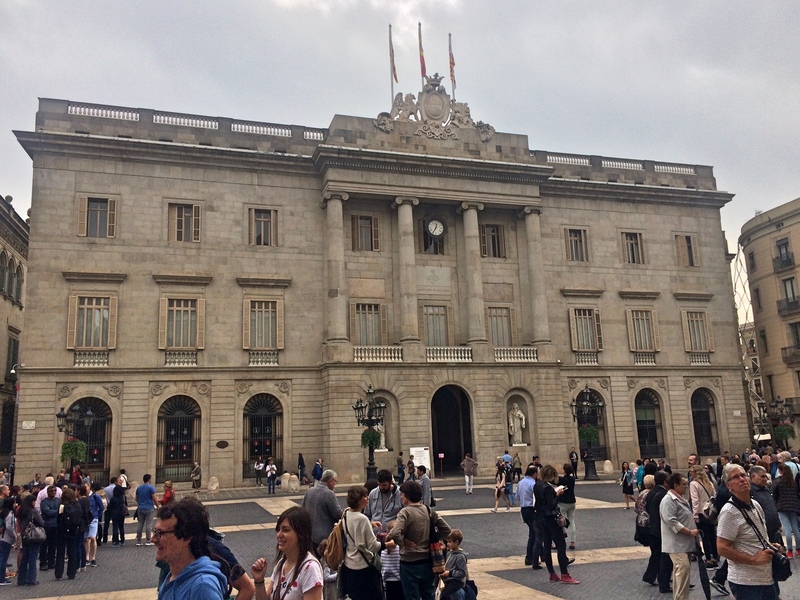 Barcelona City Hall and the seat of the Catalan government, the Palau de la Generalitat de Catalunya. See photo in the end of this reportage. 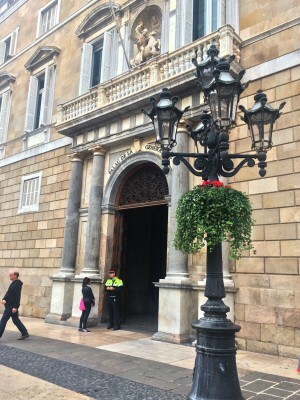 Historically speaking, the city’s first form of government was the Consell de Cent, or Council of the One Hundred, which used to meet in the Great Hall, the Saló de Cent, from 1373 until it was dissolved in 1714. 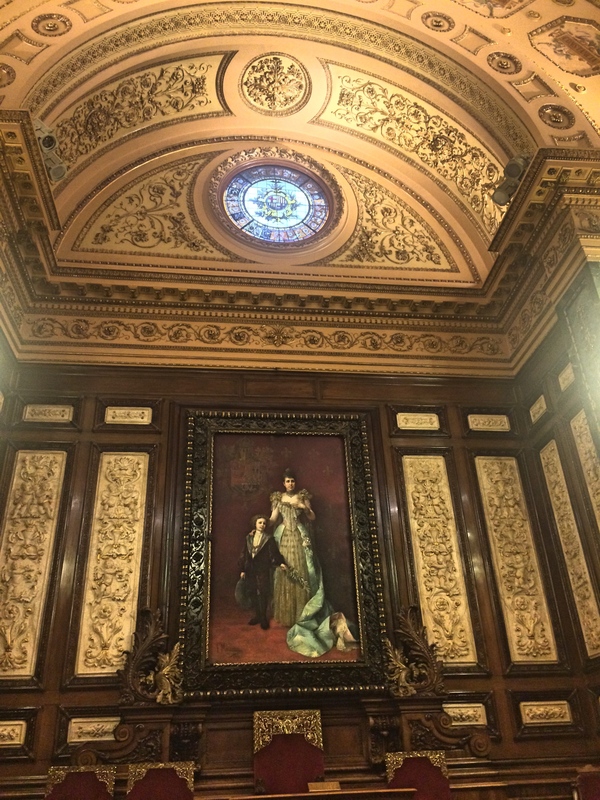 This magnificent Gothic-style chamber is included on the Barcelona City Hall, that we here are going to show you in pictures and text, from our Barcelona visit autumn 2016. 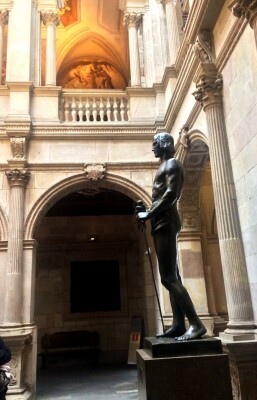 Entrance to the Great Hall, the Saló de Cent, The entrance door is famouse. 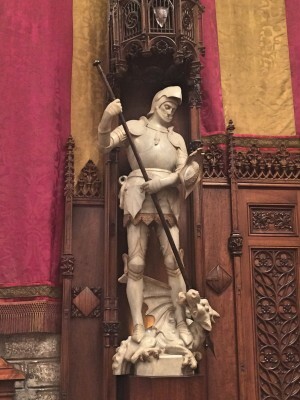 St. George, work by Manuel Fuxá. This hall was meant to be a meeting room for the Council of One Hundred Jurons Designed by the master builder Pere Liobet in 1369. 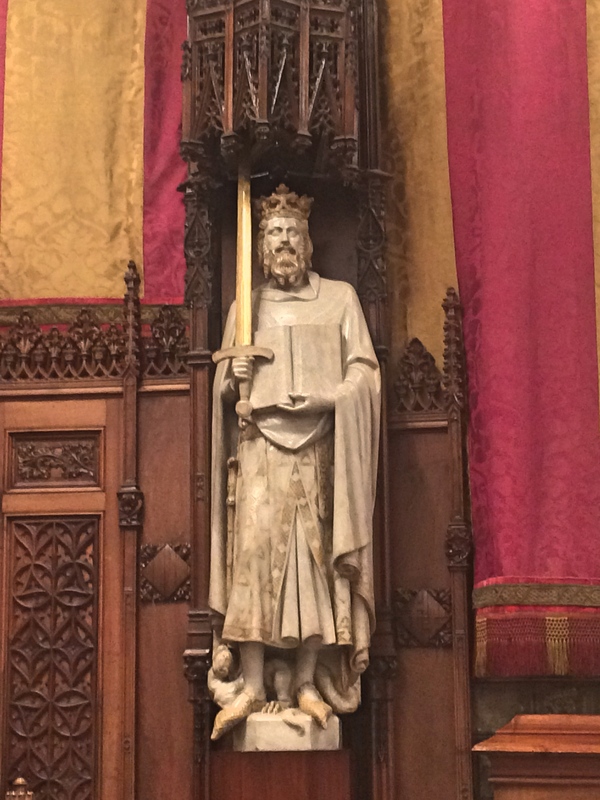 A master tablet located at the far end informs that King Peter III celebrated his first meeting here with the Council of One Hundred on August 17, 1373. 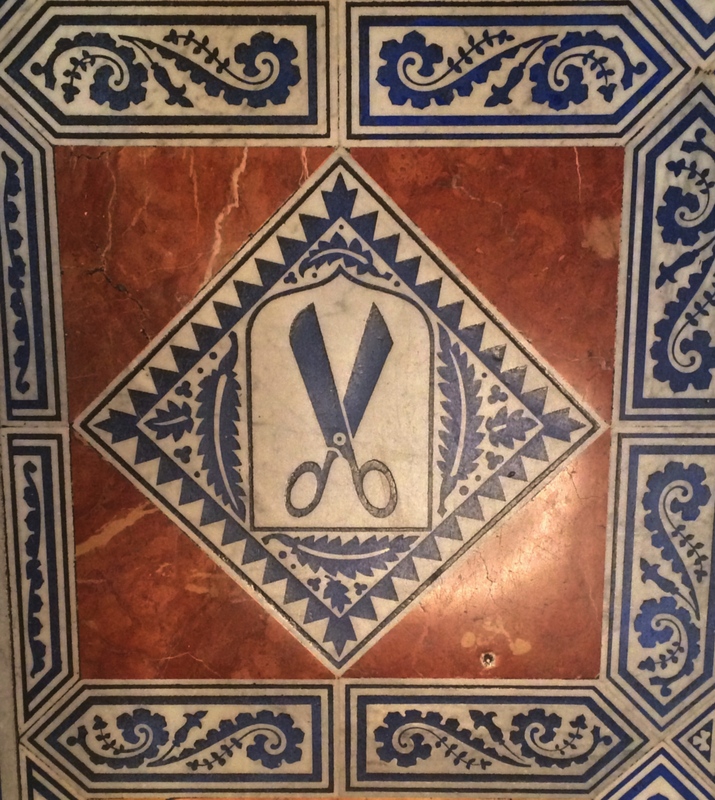 This magnificent room underwent several reforms in the course of time. The most recent reform took place early in the 20th century. 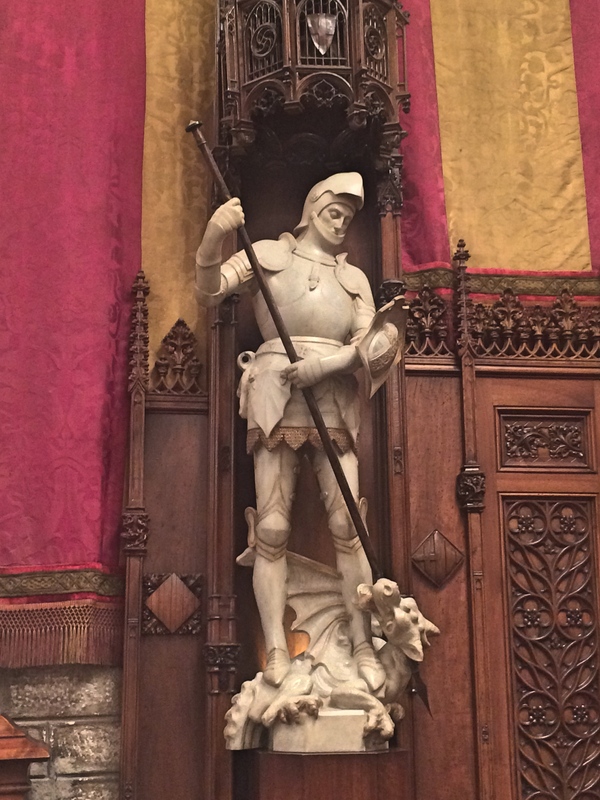 On the walls sculptures of King James I and St. George, works by Manuel Fuxá. 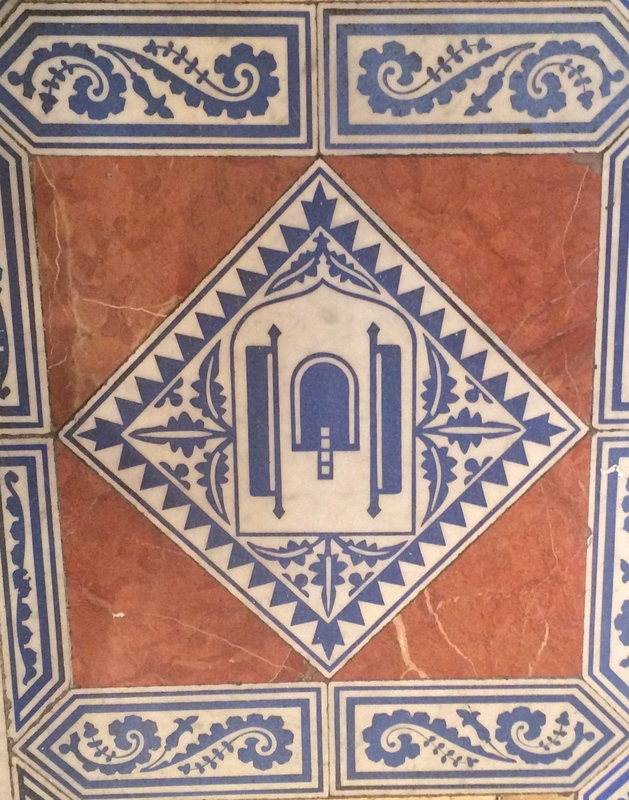 The floor tiles are decorated with symbols of the guilds and with the city coat of arms. 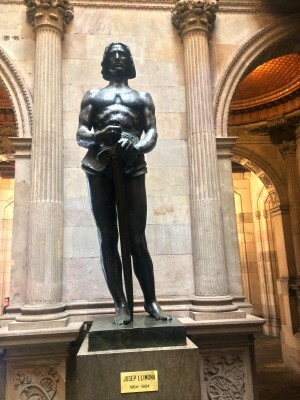 Other highlights include the Saló de Cròniques, or Hall of Chronicles, decorated with murals by Josep Maria Sert(1928) which change perspective depending on the angle you look at them from. 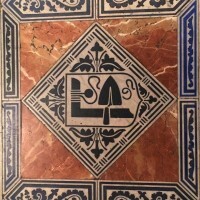 The Saló de Cròniques with luxurious black flooring and wall and roof paintings by Josep María Sert (1928) is also very interesting. 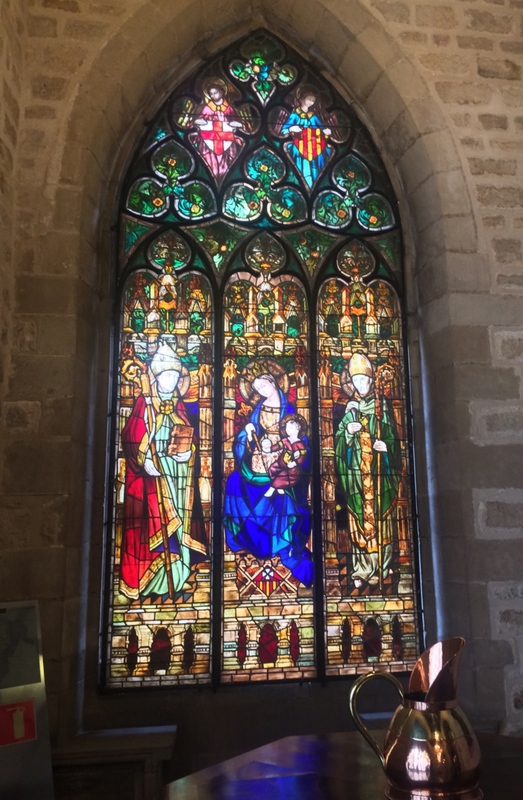 – Its name refers to the histories or chronicles written by Ramon Muntaner and Bernat Desclot which were used by the painter to learn about Roger de Flor´s expedition to the Orient in the 14th Century. 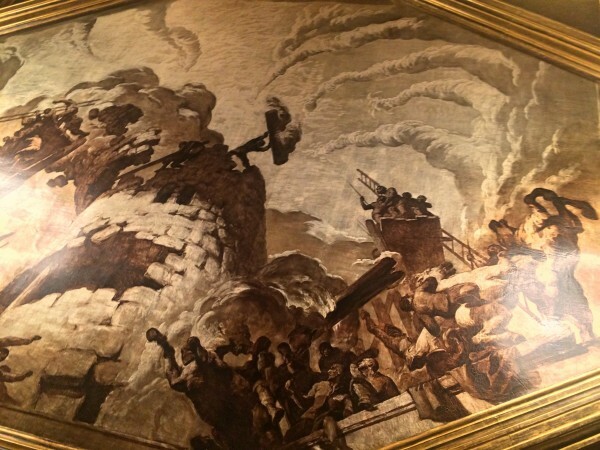 It present different episodes, and the ceiling depicts the deference of the tower of Adrianopolis. Ceiling painting in Chronicle hall. This motive depicts the deference pf the tower of Adrianopolis. The paintings were done in oil and canvas previously covered with gold and silver leaf. Chapell, City Hall. 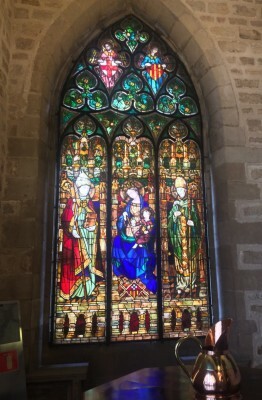 In the center The Virgin of Montserrat. 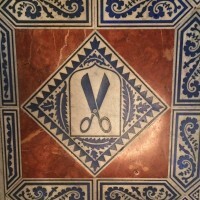 Room of the Queen Regent. 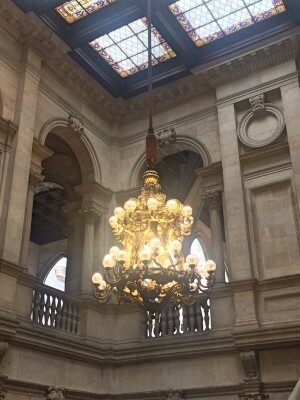 In a manor full of many extraordinary rooms, halls, staircases, there will always be a room that you will remember, as it speaks to your inner feelings, for me in the Barcelona City Hall i preferred the Room of the Queen Regent. It gave me the best experience. 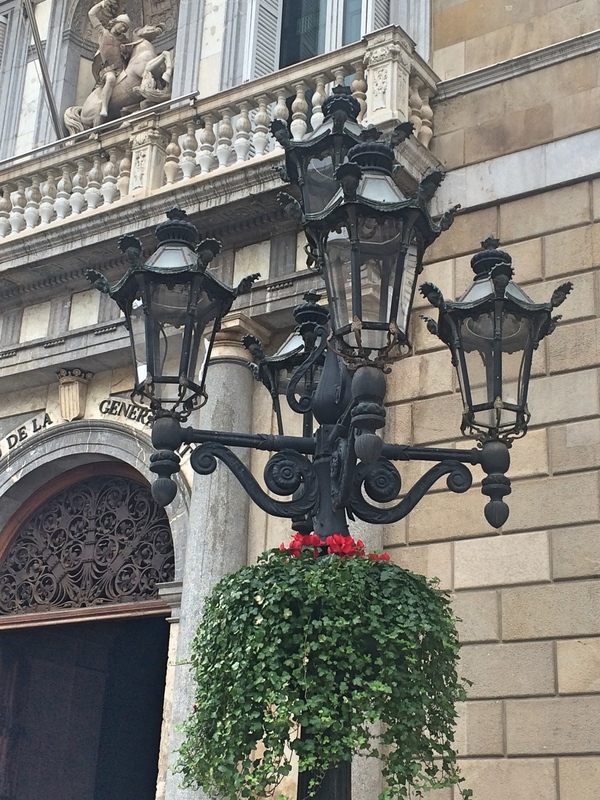 It is situated next to the “Saló de Cent”, it ws designed by Francesc Daniel Molina in 1860. At present it is used for plenary meetings. Shaped in the form of a semicircle, the ceiling is a half-dome with a stained glass covering. 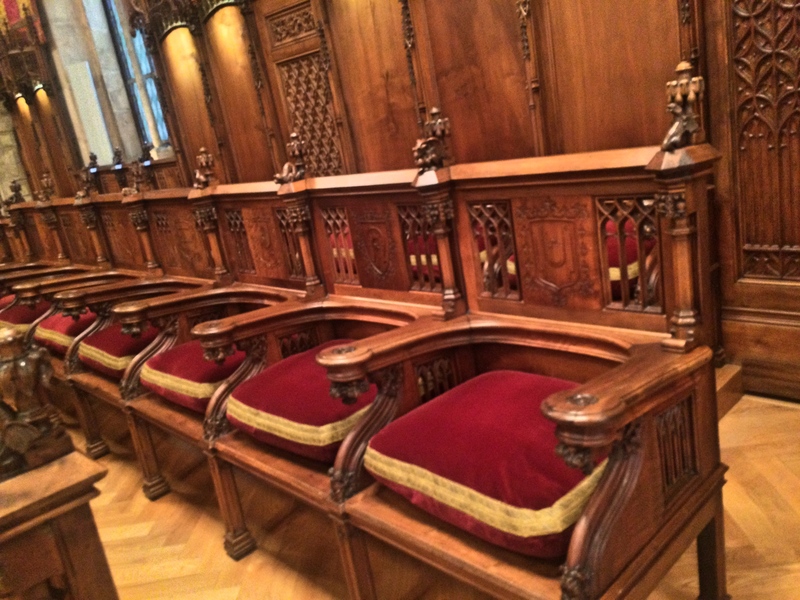 The presidential table is surrounded by 50 seats divided in two blocks, and there are two galleries for the public and the press. 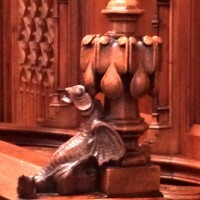 The room os decorated with two bronze candelabra. 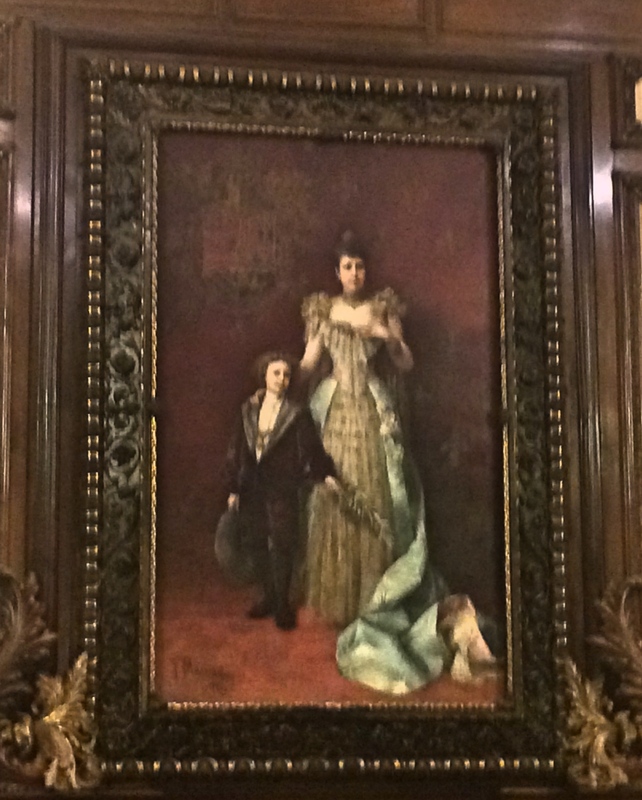 Portrait of Maria Christina – the Queen Regent and her son Alfonso XIII as a child. A portrait of Maria Cristina, the Queen Regent, and her son Alfonso XIII as a child. 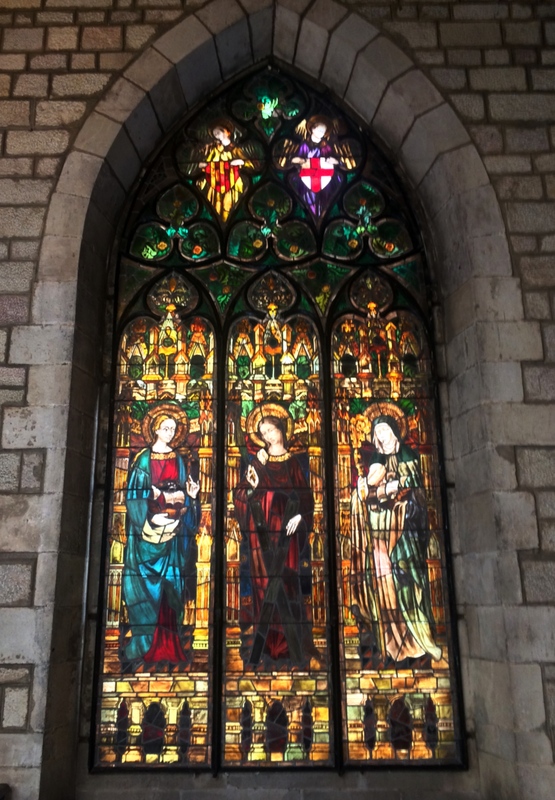 And in niches St. George and St. Eulalia by Josep Viladomat. The City Hall’s lobby and Gothic staircase are a veritable art gallery with sculptures by artists including Gargallo, Llimona, Navarro, Subirachs, Marès, Miró and Clarà. 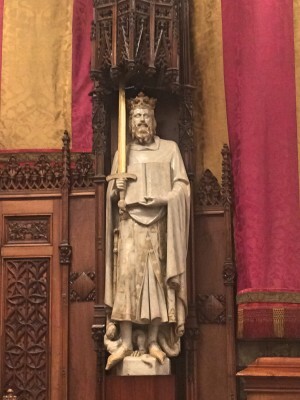 The statues of King Jaume I (the founder of the Council of the One Hundred) and Joan Fiveller (a 15th-century Barcelona freeman and member of the Council) in the vaulted niches on Barcelona City Hall’s main façade were sculpted by Josep Bover (1847). 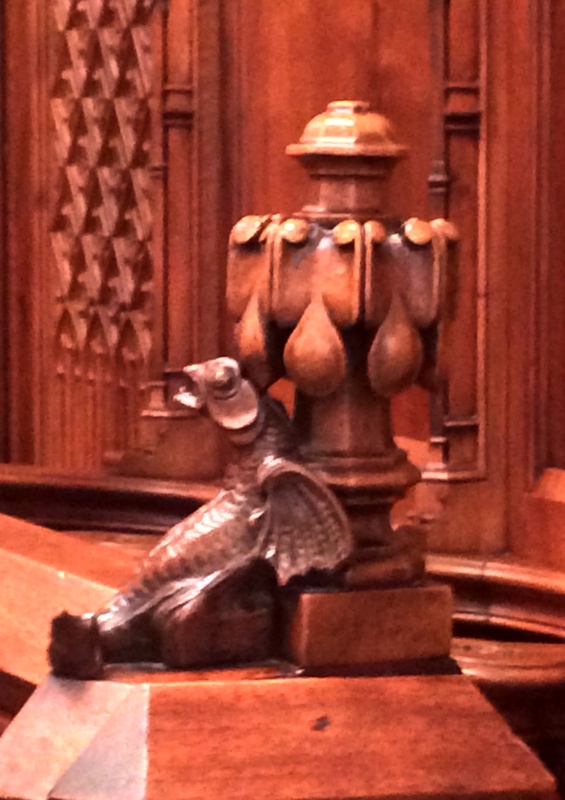 The Honor staircase leads up to The Gothic Gallery, formed by arches supported by columns with decorated capitals. 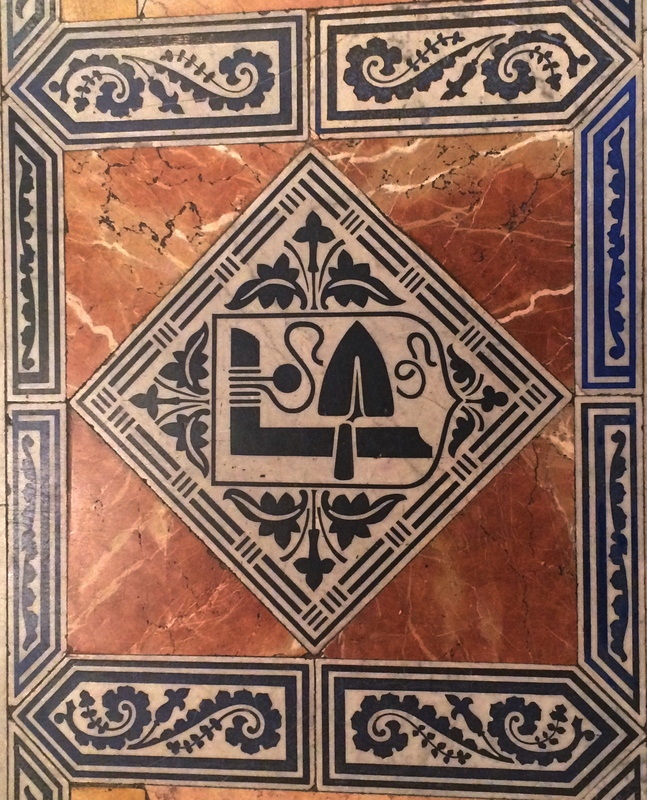 The date MDLXXVII (1577) can be read on one of the columns. 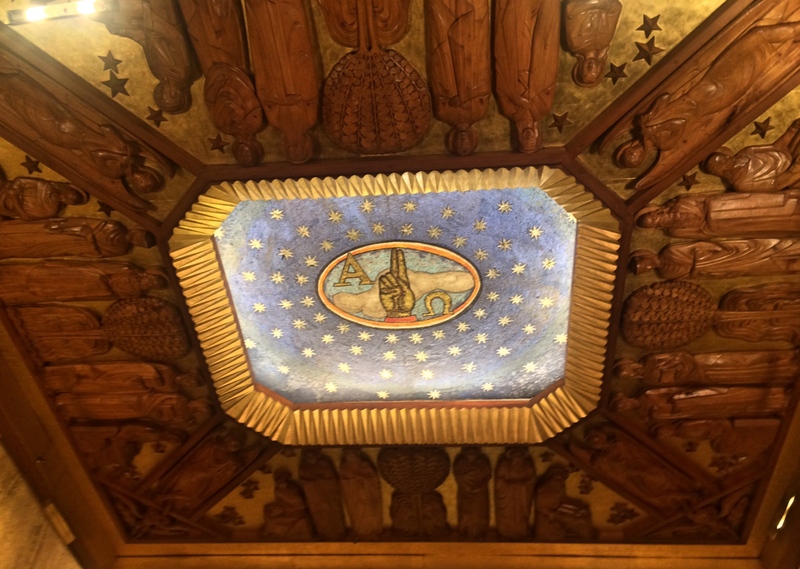 The ceiling of the tourist information office on the ground floor features The Four Seasons, painted by Albert Ràfols Casamada in 1982.Worth a special visit. 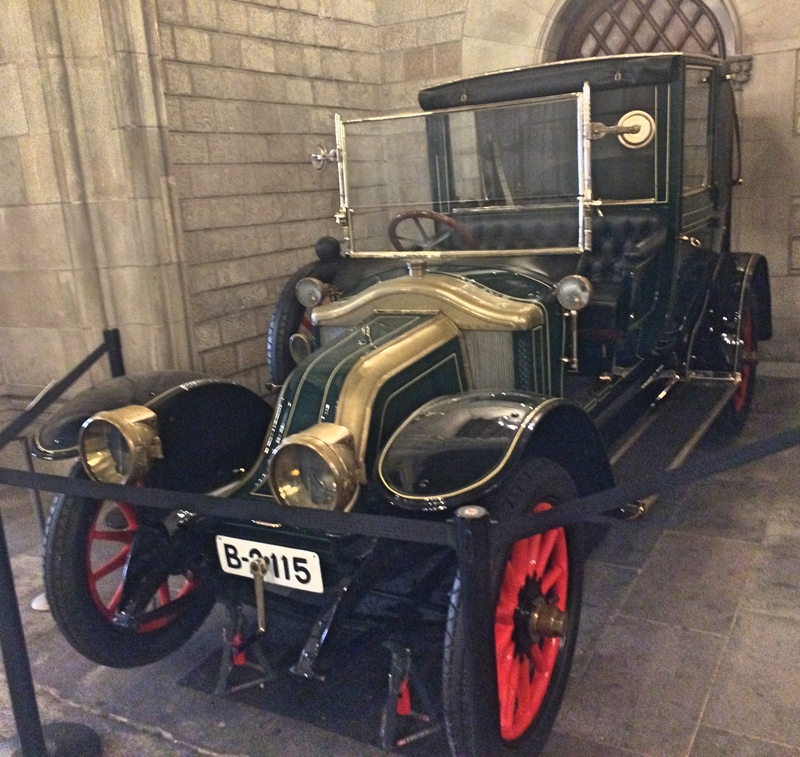 Old car in the lobby of the City Hall. In the lobby, we too find an old antique car, with an interesting history. 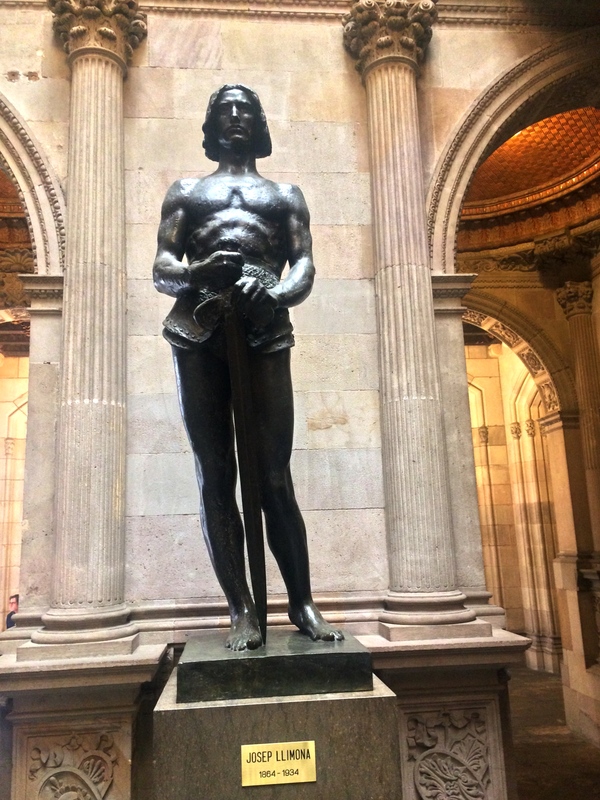 Just ask the guide when you will be visiting the Barcelona City Hall, next time. Tourist office in the City Hall. However the tourist office was not a sensation, too crowded, and the staff, present, seamed not to be very interested in the tourists guesting, we didn´t manage to get any contact. Barcelona looks for me to be much too crowded with tourists, and therefore the service level has been too bad. Our feeling was that the staff we met many places, were tired of too many people, and the circulation was queuuing, queuing, queuing. 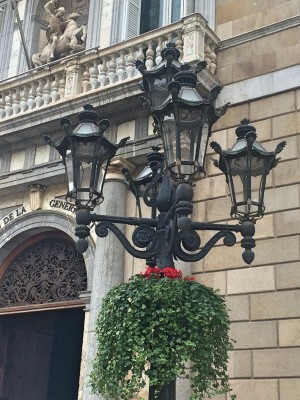 Entrance port to the Palais Generalitat de Catalunya, , Barcelona.